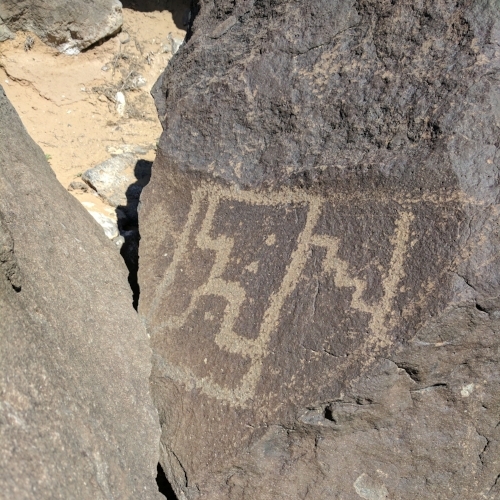 I've spent the past week in Albuquerque, New Mexico for a range of work commitments, but before catching a plane home, decided to take a quick drive out to Petroglyph National Monument, specifically the trail at Piedras Marcadas Canyon, to view what I'd heard were breathtakingly beautiful rock carvings. 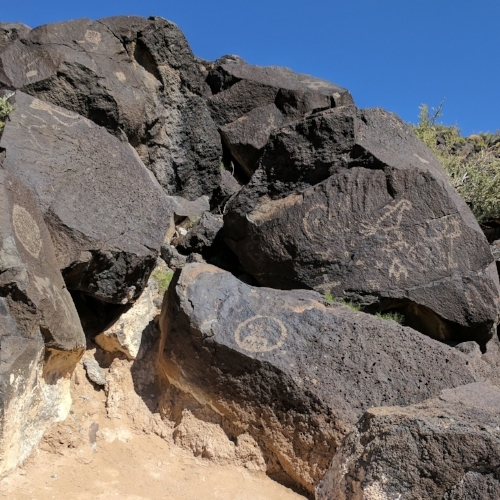 It didn't end up being much of a "run," as the trail is just 1.5 miles and I kept stopping to admire the petroglyphs, but this little park, right in Albuquerque, is well worth a visit next time you find yourself in central New Mexico. The ancestral Pueblo people carved more than 24,000 images on the rocks here, and over thousands of years of oxidation of manganese and iron in the rock, a "desert varnish" formed on the surface, which helped the images to stand out and keeps the images from eroding further. Park official estimate that about 90% of the petroglyphs were created during the period between AD 1300 until the end of the 1600s -- meaning that some of the Spanish settlers who carved Christian symbols on the rocks may have been inspired to do so by viewing the Pueblo carvings from 2,000 years earlier. 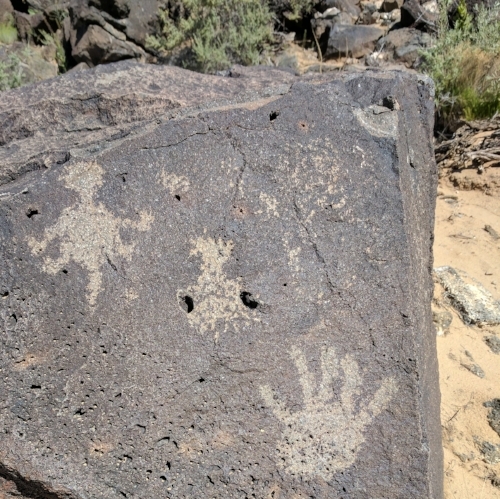 I encourage you to visit the petroglyphs next time you're in the Land of Enchantment. See you on the trail!